Browsing farmers markets this fall, you may find some new apple varieties mixed in with the Granny Smiths, McIntoshes and Fujis. Susan Brown, head of the apple breeding program at Cornell University, estimates that there have been 130 new apples released around the world in the past six years. This summer, she contributed two more to that tally: the SnapDragon and the Ruby Frost. "If you're a fan of Honeycrisp apples, SnapDragon is similar," she says. "It has a crisp texture. The cells rupture rather than separate, which give it a real crunchiness. On the other hand, Ruby Frost is grower friendly. It doesn't fall off the tree when it ripens, and it has a good resistance to browning. Plus, it has a nice sugar-acid ratio." It took her most of her professional career to develop these two fruits. Ruby Frost was a 17-year process, while the SnapDragon required 12 years. That may sound like a long time, but it's fairly standard — even a little fast — in the world of apple breeding. "You start by identifying two parents with desirable characteristics," explains Bill Dodd, president of Midwest Apple Improvement Association, breeders of the recently developed EverCrisp apple. "When the trees are in bloom in the spring, you take the pollen of one and pollinate the other. The apples that the pollinated tree produces will have seeds for the new variety of apple." Those seeds are mass planted — about 50,000 were planted to develop the EverCrisp — but it takes four or five years before the resulting trees produce fruit. Testers check that fruit for a variety of different factors, which Dodd ticks off: "Size. Color. Crunchiness. Texture. Sweetness. Tartness. Harvest timing. Are they disease resistant?" Just because the parents were a success, doesn't mean their offspring will be: "99 percent of the fruit is crap," says Dodd, before adding with a chuckle, "That's a technical term." However, if breeders find a tree whose fruit they like, they take a cutting or bud stick off the tree and graft it onto a rootstock. To create copies, breeders take buds off this rootstock and place them onto other rootstocks (further copies can be then made from those offspring). Breeders could be nearly a decade into this process when they suddenly discover a trait in the fruit that makes it unviable for mass production or general consumption. 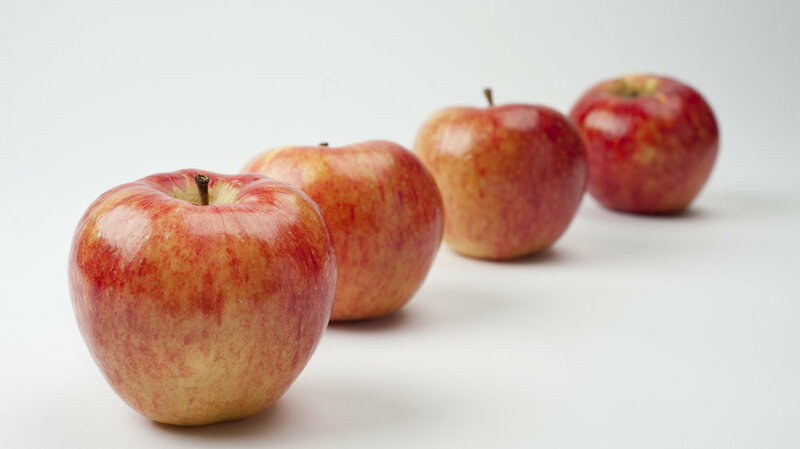 "We're just waiting for the skeletons to come out of the closet in every variety," says Fred Wescott, president of Wescott Agri Products, which bred the just-released Riverbelle apple. "There's always a potential that you could get sideswiped after years of hard work." 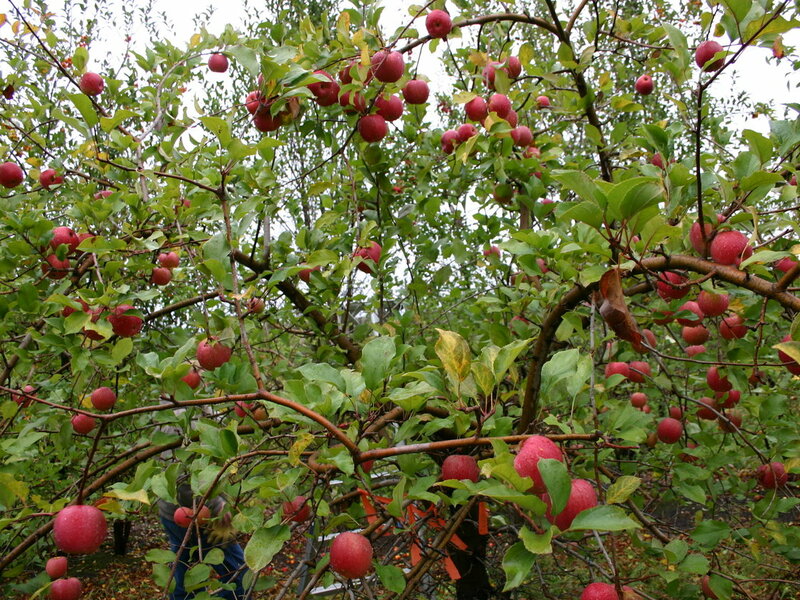 Over the past 15 years, his company has bred thousands of apple varieties. Wescott estimates that only 50 to 60 of those had the level of quality and the desirable characteristics that made them worth pursuing. Ultimately, only two apples made the cut: the Riverbelle and the Pazazz, which is being planted now. "[The Riverbelle] has the Honeycrisp's texture — that snappy crispiness — and a unique appearance: orange to red flecking over a green to yellow background," says Wescott. "It can develop quite high levels of sugar that are balanced by high levels of acid to give it tartness." The only drawback is that the Riverbelle only grows well in the Midwest, which limits its total production and its marketplace. On the other hand, he says, the Pazazz flourishes whether it's planted in Washington, New York or any point in between, plus it has been bred to withstand storage. "It has much broader potential," says Wescott. "It could go international." With so many different apple varieties already available, one might wonder why breeders continue to create new ones. "As entrepreneurial Americans, we always want to make what we do better," says Dodd. "Yes, we have some exceptional apples, but we are looking for something that's even more exceptional." And, of course, more profitable.